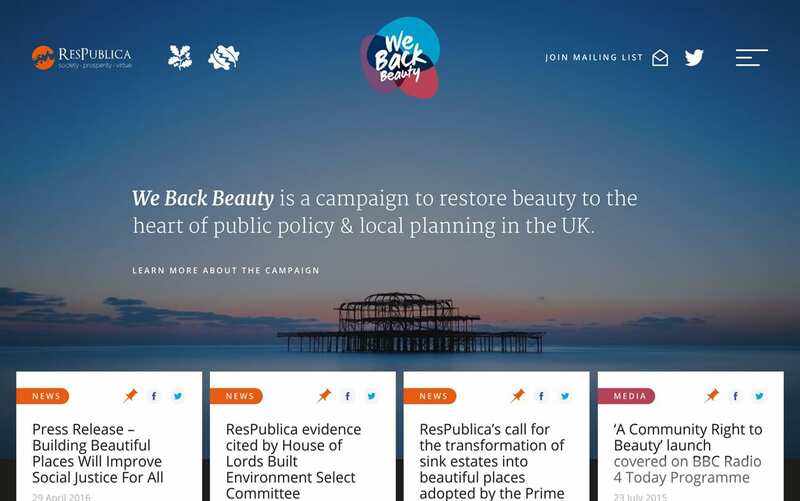 We Back Beauty is a campaign to restore beauty to the heart of public policy and local planning in the UK. Having already designed the ResPublica think tank website, they came to us to make their Backing Beauty Commission a reality with a unique badge design and website. We used tagged content feed tiles to keep users up to date with the latest developments of the campaign.